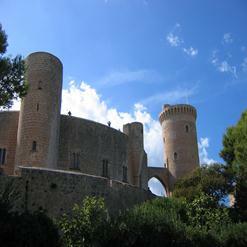 It is positioned only a few kilometers West of Palma de Mallorca. The beach is 200 meters long and 80 meters wide. The water is crystal clear. The beach is surrounded by high hotels and tends to be crowded during the months of July and August. Cala Major, is suited for children, only always pedal boats, and has a promenade that visitors or locals can find a number of restaurants and bars.